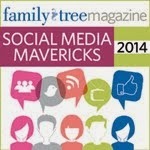 The Chart Chick: Why Would a Family History Chart Matter Anyway? 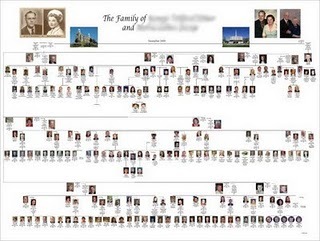 Why Would a Family History Chart Matter Anyway? It seems our mortality was front and center this past summer. Three experiences recently impressed me with the gravity and importance of the industry we work in and the fragility of life. We had two clients this summer whose dying wish was to print charts for their family members so that they could show their families the research they had worked on. These clients both wanted to inspire their family members to press forward with preserving their heritage and inspire them with the heritage that had already been collected. It was alot of pressure for us to come up with something so important to these families. One of the clients was in and out of the hospital quite a bit. Obviously, I was more than happy to stay up with him late into the night to finish the design work. What an honor it is to help with something so important. And then, one of our life-long friends, Roger Grua, lost his beloved wife Marlene this summer. Roger was a client from 2009 when he and Marlene worked on a beautiful 36x48 chart with over 200 pictures to honor Marlene's mother. Roger and I enjoyed working on that chart together and I got to know his family quite well. He was a favored son-in-law after presenting the chart and rightfully so :) It was a privilege for me to meet with Roger and Marlene at conferences over the years and to meet many of their children and grandchildren. Roger and Marlene had a beautiful marriage and were such an example of love and light to me. And it has been both heartbreaking and inspiring to me to watch Roger go through this loss. He is truly one of the world's greatest men. We are just so privileged to work with these families. 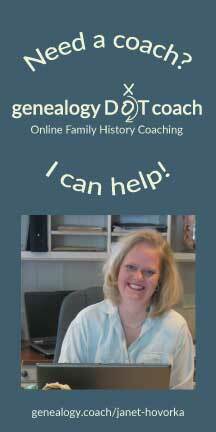 We always say that genealogists are the best people in the world and they truly are. It is an honor to remember the lives of these people, near and far and celebrate their loves and their challenges. We strive every day to be worthy of that trust. Congratulations to our October Contest Winner.